BRIDGETOWN, Barbados, Jan 28 2014 (IPS) - Despite having an abundance of wind and sunshine, Caribbean countries have found that going green is requiring significant shifts in policy, and most importantly, significant financing. “Plans for the area include a 680-million-dollar waste-to-energy plant; a leachate treatment plant costing about 31.9 million dollars; a landfill gas-to-energy project to cost 9.4 million dollars; a solar project costing 120 million dollars; and a wind-to-energy facility projected to cost 24 million dollars,” said Environment Minister Dr. Denis Lowe. The climate change financial adviser at the Barbados-based Caribbean Development Bank (CDB), Selwin Hart, said the region’s premiere financial institution has identified the promotion of renewable energy and increased energy efficiency as a strategic priority. “The bank is in the process of developing an energy sector strategy and policy which will be finalised in 2014,” he told IPS. “[But] we are not waiting until that policy is finalised for us to make the necessary interventions within borrowing member countries giving the priority and urgency attached to making these investments,” Hart noted. Citing the region’s “vulnerability to the negative effects of climate change”, Hart said the Caribbean must be in a position to secure some of the financing needed to help it cope, adapt and reduce vulnerabilities to the serious fall-out from the phenomenon. “We are extremely vulnerable when it comes to the consequences of climate change and we must do everything to receive our fair share of the resources being made available,” he said. “The cost of renewables, and using solar, as an example, have fallen significantly and are now for the most part cost competitive with traditional sources of energy,” he said. “We have ambitious targets. We have set ourselves to change from fossil fuel to renewable energy and at the same time decrease our energy intensity,” Energy Minister Joy Grant told IPS. “We are pursuing all types of renewable energy – hydro, bio energy, solar, ocean, thermal and wind and waste-to-energy,” Grant added. But like all other small developing countries, Grant said Belize’s efforts in renewable energy were constrained by the high cost of renewable technologies; the lack of domestic capacity; inappropriate frameworks to incentivise the private sector to invest in renewable energy; and small population size. “The consumer pays over 30 percent of that in what is being called fuel surcharge. The consumer pays an average of 1.17 dollars per kilowatt hour,” he told IPS. “From our standpoint in Dominica, we believe as a government and as a people that we must do something, once and for all,” he said. “Our ultimate goal of geothermal production we will also be contributing to the global effort to combat climate change,” he said. “We also have the worst ratio of fossil fuel generation versus renewables in the OECS,” he said. Browne wants to see a diversification into renewable energy “with a view of having 25 percent renewable energy” within five years. 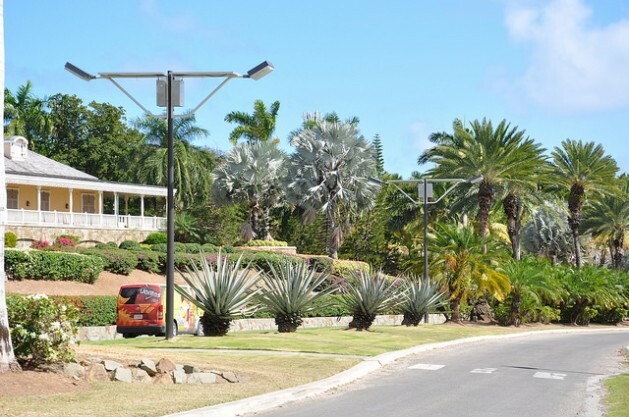 He told IPS his Antigua Labour Party would modernise the Antigua Public Utilities Authority “into a more efficient entity, thereby reducing the burden that unreasonably high cost of energy imposes on industry, commerce and residential consumers” when compared to Antigua’s OECS neighbours. “It has taken some time but we are making progress,” he told IPS.